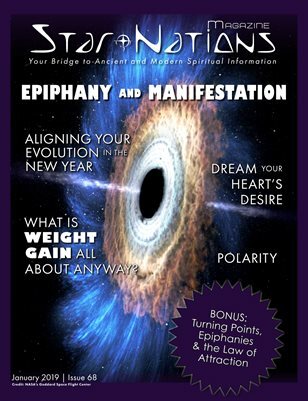 Star Nations Magazine is a monthly magazine with insightful and fascinating spiritual topics. We bring together spiritual information about Indigenous people, Shamanism, Feng Shui, Animal Communication, and more for your spiritual path. In this January Issue – Epiphany, Polarity, Feathers, Heart’s Desire, Aboriginal Spirituality, and Chocolate.